Hey, friends! Are you looking for the perfect weekend breakfast, holiday morning snack or even a gift? 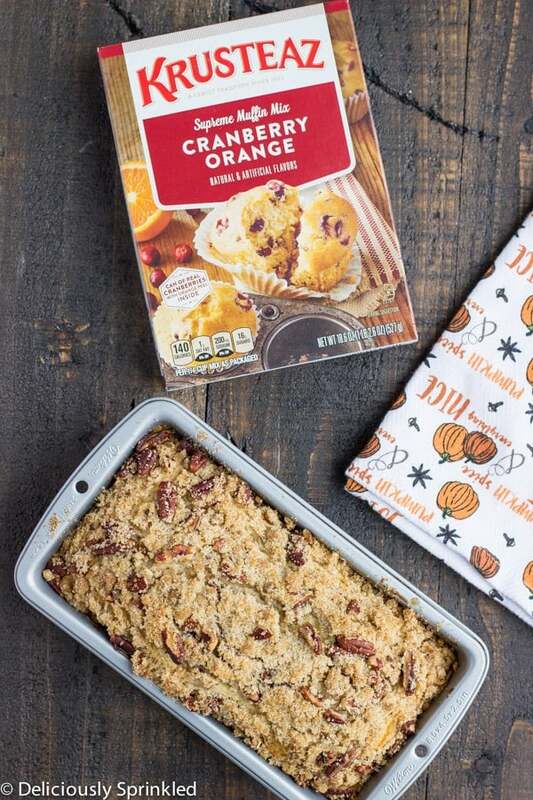 This Streusel Cranberry Orange Bread is so easy to make using my favorite Krusteaz Cranberry Orange Muffin Mix. 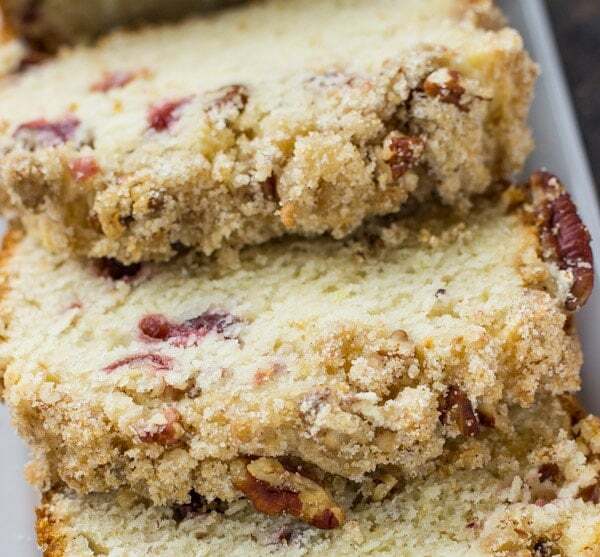 This bread has a sweet orange flavor with just the right amount of real cranberries. 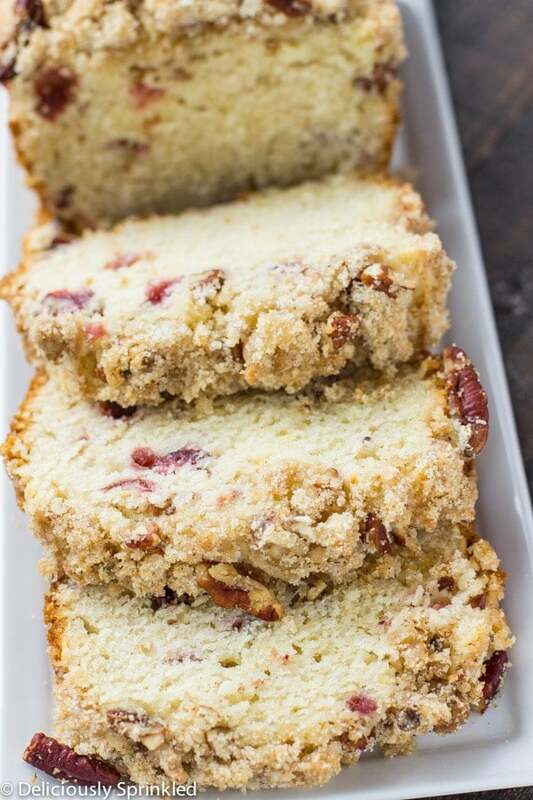 The pecan streusel topping adds the perfect crunch and the pecans compliments the orange-cranberry flavor of the bread, making this bread the ultimate holiday bread . And to make this bread extra special I drizzled it with an orange glaze. 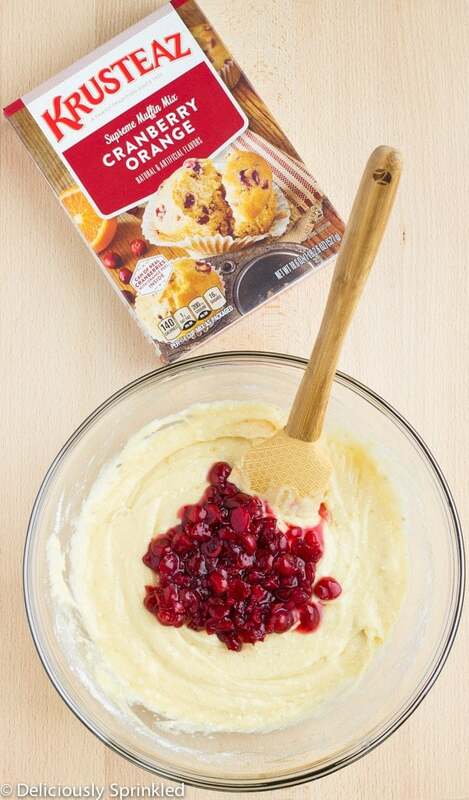 KRUSTEAZ® CRANBERRY ORANGE MUFFIN MIX: To make this bread I used Krusteaz Cranberry Orange Muffin Mix, I love that it comes with a can of real cranberries. MAKE AHEAD: This bread freezes very well for about 3-4 months. When ready to enjoy, place bread in refrigerator overnight to thaw. Then place the bread on your kitchen counter top for about 30-60 minutes to allow it to come to room temperature. Then make the orange glaze, drizzle on top of the bread and enjoy!